With further integration of AI and machine learning, the future of telemedicine will feature improved clinical workflow and patient experience enabled by better connections within systems. In 2016, the health IT world spent a lot of time addressing data blocking issues and patients' access to personal information like their health records. Learn more in this photo story. HIPAA violation examples make headlines every now and then, often with a hefty fine. The Office of Civil Rights laid out the five most common mistakes healthcare organizations make. At ATA 2016, vendors showed five new telemedicine devices and systems ranging from non-contact connected thermometers to real-time video conferencing for virtual doctor's visits. The recent mHealth + Telehealth World 2015 conference in Boston provided a great setting to sample innovative devices and software. Here are five interesting mHealth and telehealth technologies in use today in healthcare. 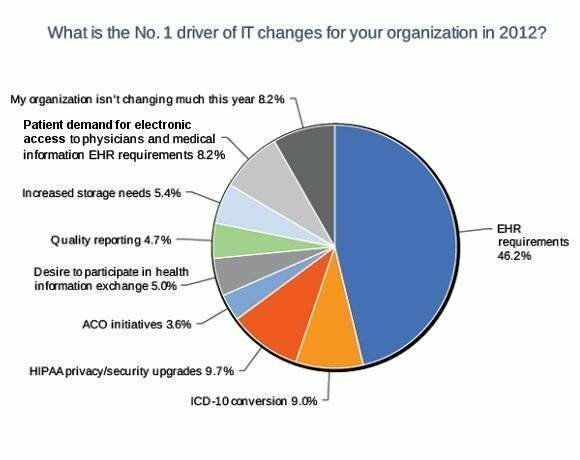 Health care organizations are considering a number of factors, from EHR implementation to health data security, in their 2012 IT purchasing plans.